Justices vote that so-called '2x1' benefit does not apply to those convicted of crimes against humanity. The Supreme Court has finally overturned its heavily criticised ‘2x1’ ruling that granted early release to dictatorship-era criminals convicted of crimes against humanity. On Tuesday, the court's members voted that the benefit – which said the time a criminal spent in prison prior to receiving a conviction should count double toward time served – does not apply to those convicted of crimes against humanity. The decision was based on an appeal from Rufino Batalla, a civilian who served as an intelligence officer for the Army and acted as a guard at a clandestine detention and torture centre on the outskirts of La Plata, known as 'La Cacha,' which was in operation under the last last military dictatorship (1976-1983). 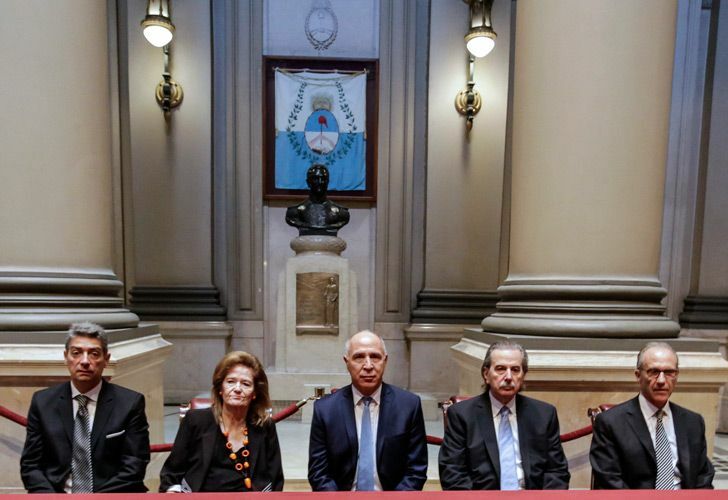 The ruling applies to all those convicted of crimes against humanity in Argentina. On May 3, 2017, three of the five members of the country’s highest tribunal ruled that Luis Muiña – a convicted human rights abuser who was part of a ‘death squad’ that operated within the Posadas Hospital between 1976 and 1977 – had the right to benefit from the controversial law. Once the court’s decision became public knowledge, there was an immediate social outcry, prompting one of the largest human rights demonstrations in Argentina’s history. The law, which had been repealed in 2001, was no longer in effect by the time the Supreme Court released its ruling. It had never previously been applied to those serving sentences for human rights violations. A week later, Congress approved a law excluding those convicted of crimes against humanity from benefitting from the '2x1' benefit. The justices voted four to one on Tuesday, with the president of the nation's highest court, Carlos Rosenkrantz, voting against the ruling. Justices Elena Highton de Nolasco, Juan Carlos Maqueda, Ricardo Lorenzetti and Horacio Rosatti all voted in favour. Rosatti and Highton de Nolascio reversed their previous position. Rosenkrantz argued in his minority opinion that the law introduced by Congress was "not constitutional," saying it did not "respect the principle that says you have to apply the most benign law" on the statute books for convicted criminals. Justice Minister Germán Garavano said Tuesday that Rosenkrantz had taken "a very respectable position," hinting that the Supreme Court chief had voted against his personal beliefs and for "the correct application of the law." 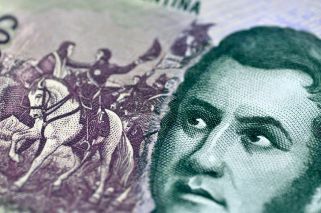 In a post on Twitter on Tuesday night, firebrand Civic Coalition lawmaker Elisa Carrió also backed Rosenkrantz's position, describing the ruling as "correct." The Cambiemos coalition member – who has been a fierce critic of Garavano's – said "human rights belong to all citizens" said "international standards must be applied" when judging crimes committed by those convicted of crimes against humanity. Carrió has previously stated that she believes that all prisoners over the age of 75 should be allowed to serve out their sentences under house arrest, whether they have been convicted of crimes against humanity committed under the last military dictatorship or not. Human rights organisations estimate that around 30,000 people were killed at the hands of the security forces during the 1976-1983 military dictatorship.